Outpatient services are available from Monday to Saturday at the schedule given below. Phone appointments for consultations are available and the number to contact is 04652-230019/233905. 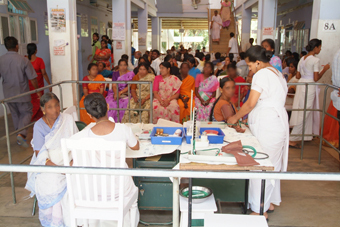 After registration at the OPD, a quick general work up is done by the nurses stationed in the OP to allow for the Doctors to spend more quality time with the patients during their consultation. Minor procedures are also often done on an OP basis. For Outpatient & Consultation timings, please click here.